Bouncing freely in space suspended on a bungee cord, attached to your hips, you get to explore three-dimensional moves that fully engage every muscle in your body. You will build strength, flexibility, core stability, mobility while you play, dance jump and float around the room. Fly in the air like Superman or suspend mission impossible style floating inches above the floor. Allowing you to discover and create freedom and resilience that extends, beyond the bungee cords into the rest of your life. This transforms your body inside and out. 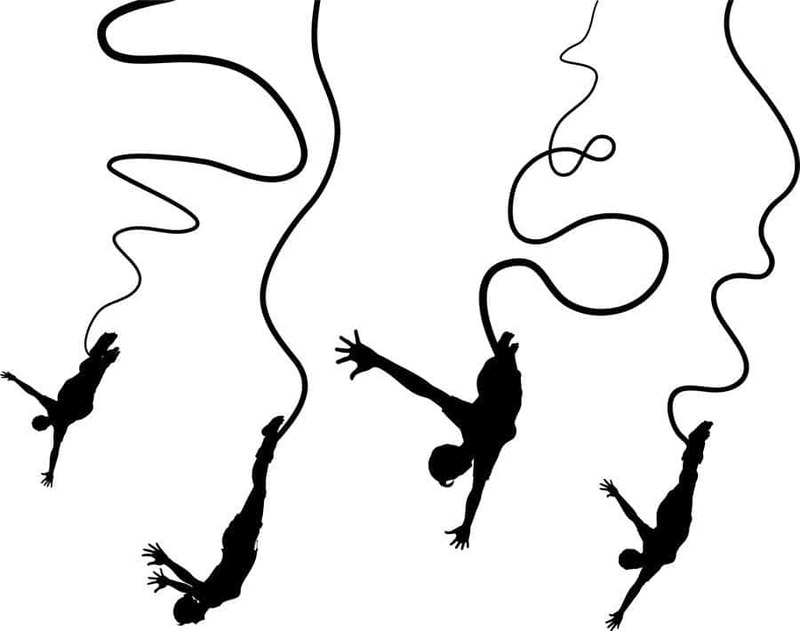 Our Bungee workouts is an intensive conditioning class. All levels are welcome and you may choose to work at your own pace and fitness levels. Prior to your class, you must let us know your height and weight as we have to prepare, adjust the bungees to match your height and weight before the class starts. If your weight is not correct your bungee may be top or bottom heavy, may not work for you and you may not be able to fly around. Benefits – Flying bungees will make you instantly happy!! It is lots of fun. You will build strength in your whole body, improve your core abdominal, great for cardiovascular conditioning, burning fat while you fly around releasing happy hormones serotonin endorphins. What to wear – Comfortable clothing, wear runners, bring a sweat towel. We have wet-suit shorts for you to wear, and we wash them after every session. I highly recommend if you have your own cycle pants that you wear cycle shorts with padding as this will be helpful with the deep tissue massage where the harness is placed. Health considerations extra precautions are necessary for recent surgery, stroke, high or low blood pressure, vertigo or heart conditions, herniated discs, botox, injuries especially knees, ankles, hips and groin injuries. If you are pregnant you cannot do the class. Before your first class in a group- it is important you give us your correct weight and height. This allows us to have bungees ready hooked up for you. Once you are booked in a group class if you are late you will miss out on vital information and will hold up the others in the class. You may have to wait until there is a break to get into your bungees. so please do not be late. There is no makeup sessions or refunds, as someone else will take your place. Prepay prior to any class is essential. 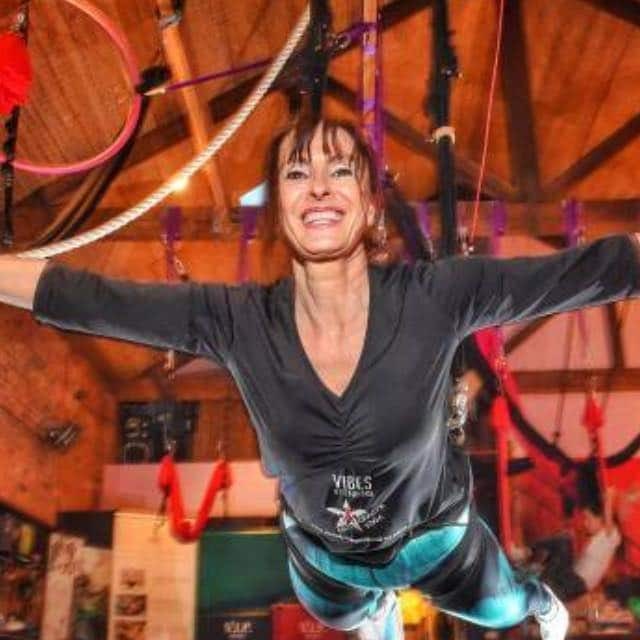 Prior to your Bungee class – We recommend that you first do an aerial yoga class or (anti-gravity yoga or aerial yoga) first so you get used to the deep tissue massage around the groin area prior to bungees classes. The harness will give you a deep tissue massage around your legs, groin area. Call us for a chat or email prior to booking a class. margie@vibes.com.au – 0412526383 – 2 friendly cats in the studio.